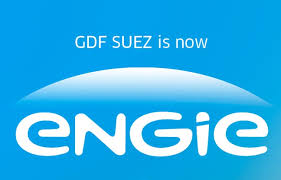 ENGIE is committed to responsible growth of its businesses (power, natural gas and energy services) in response to the central challenges of the energy transition towards a low-carbon economy: providing access to sustainably generated energy, combating climate change, reducing its effect and making responsible use of natural resources. The Group is developing high-performance, innovative solutions for personal customers, urban authorities and companies by applying its expertise in four key sectors: renewables, energy efficiency, liquefied natural gas and digital technologies. ENGIE is accelerating its own transformation with a new organizational structure consistent with the new corporate plan launched in April 2015. The Group now operates through 24 regionally-structured Business Units, 5 Core Businesses with responsibility for managing sector specific expertise and supporting BU development, and a new head office designed to ensure cohesion across the business. In responding to the new challenges of the energy market, the Group is accelerating its strategic shift towards achieving a single unified ambition: to lead the global energy transition. A first meeting that makes all the difference. Overview of ENGIE products around the world in 2015 and the challenges of the future: read the Group’s 2015 Annual Report. ENGIE offers you its dedicated range of natural gas and electricity solutions, backed by a comprehensive range of energy management services to boost the performance of your European sites. Brazil, France, Singapore, Georgia, Italy… Travel the world with Bernardo Bluhm. Having worked for a series of prestigious companies right around the world, he decided to join ENGIE as Financial Boarder. > Find out more about his career ! As a key world energy supplier, ENGIE is committed to making the energy transition its main growth driver and to developing concrete solutions to fight climate change. Watch the intervention of Isabelle Kocher, ENGIE Chief Executive Officer, on the theme of partnerships and collaboration, during the second session of the opening plenary of the 2016 edition of the World Cities Summit, in Singapore. ENGIE Global Markets, the Group trading platform, offers a package of products and services tailored to the specific needs of its customers and the full diversity of energy market stakeholders. Do you have an innovative project that focuses on renewables, the city of tomorrow or smart homes? Then join our open collaboration platform. What is new on engie.com ? Discover the 2015 edition of our publication, which focuses on the energy transition. Open Innov by ENGIE Innovative ideas, patents, skills… Join our collaborate platform dedicated to innovate! Sustainable energy for all ENGIE wishes to promote sustainable energy for all and combat energy privation.